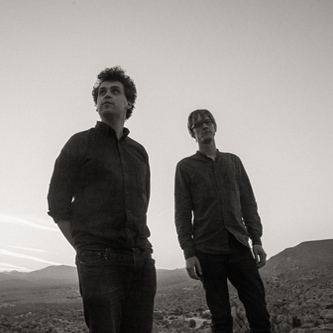 The new Simian Mobile Disco album comes with a lot of backstory, which we will briefly summarize for you here: Jas Shaw and James Ford packed up a bunch of hardware and hiked out to the Southern California desert, practiced jamming for three days, and then performed and audio/visual live show in Pioneertown. The rehearsals, gig, and a subsequent studio session provided the raw material for Whorl, the LP that drops next week on Anti Records. Each song on the record is paired with a clip of the visuals that SMD projected in real time during the Pioneertown set, and as of today, you can watch the video for “Calyx.” It has a lo-fi aesthetic remiscent of those overhead projector visualizers people used to grokk over in the 1960s, and the track itself taps into a somewhat similar retro-trippy vibe with suiggly-wiggly synths and a drone like a didgeridoo.